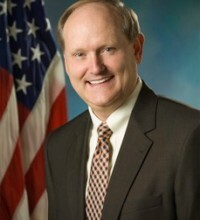 Dr. Scott E. Daniels is the former Deputy Secretary of Health and Human Resources for the Commonwealth of Virginia under Governor James S. Gilmore. He has worked more than 25 years as a practitioner of public policy and administration. He has served in policy and executive positions under four U.S. presidents (including Ronald Reagan, George W. Bush, and Barack Obama), a U.S. senator, and two Virginia governors. His career expertise is in health and human services policy concentrating on health policy and entitlements. Dr. Daniels earned his Ph.D. at the University of Tennessee in Philosophy focusing on ethics and public policy. His M.A. in Philosophy of Religion and Masters of Divinity are from Trinity Evangelical Divinity School at Trinity International University. He currently serves two Virginia colleges as an Adjunct lecturer on ethics, as well as the ethical dimension of public policy. He recently taught the graduate course in Ethics and Public Policy in the Thomas Jefferson Public Policy Program at the College of William & Mary. He teaches Statesmanship, Leadership, & Governance and History of Political Philosophy in the Helms School of Government at Liberty University, and Ethical Theory at J. Sargeant Reynolds Community College. He is a co-author of BioEngagement (Eerdmans 2000) and other chapter-length studies on bioethics. Charlotte Lozier Institute, the education arm of Susan B. Anthony List, today released a landmark review of health care sharing ministries (HCSMs). These ministries, which date back decades as a source of health care financing for both individuals and families, have experienced new prominence as an alternative to conventional health insurance.